Cape Town - The failure to convert starts was a disappointing feature of the Proteas’ performance on day two of the fourth Test match against England at Old Trafford in Manchester on Saturday. The top six batsmen – bar Dean Elgar - all made solid encouraging starts, but failed to convert the foundations into meaningful contributions. 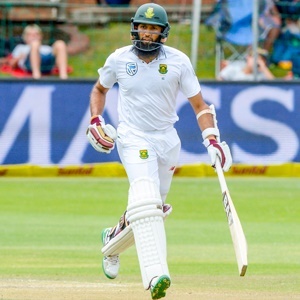 Batsman, Hashim Amla, says the shortcomings have been ‘frustrating’ for the batting unit, who face another tough battle with the first innings score on 220/9 with a deficit of 142 runs. James Anderson was the chief destroyer in his home conditions finishing with 4/33, and was well supported in a disciplined bowling performance which didn’t give the batsmen many scoring opportunities. Kagiso Rabada (23 not out) and Duanne Olivier (0) will resume on day three with the aim of chipping away at an imposing first innings deficit. Play is scheduled to start at 11h00 local time.